You do know December is just two days away, right? 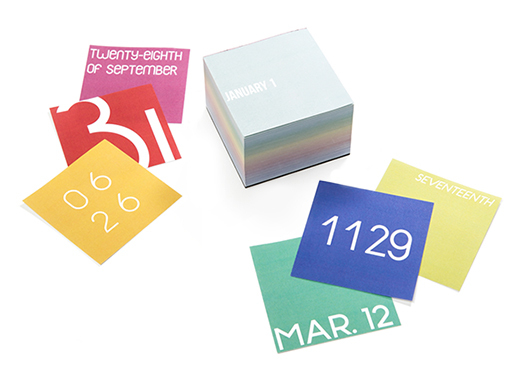 Maybe you’ll use this Gradient Calendar to keep track of the date in the coming year, as it has just enough room to jot a few notes down on each un-coated page. Every month features a new font, and every day there’s a new type treatment, so you won’t get bored. There’s no year listed, so you can use it at any time in the future. Designed by Henry Drago for American Design Club. 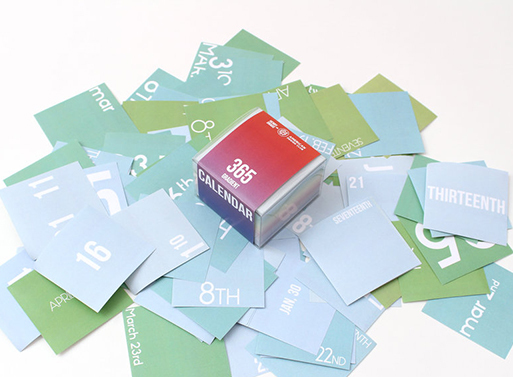 Available from American Design Club, $20.00.